After being stuffed up in your home all winter, spring is the perfect time to deep clean your home. However, a top-to-bottom cleaning may get overwhelming. Here’s a list of things to focus on when deep cleaning your home. Take care of your floors. First, mop and vacuum your wood, tile, and other hard flooring. Wax any faux-wooden floors (often made of vinyl or linoleum) and scrub and reseal tile grout lines to get rid of the excess oils and general grime that have built up over the years. Once you deal with the hard flooring, work on your carpets. Carpets are known to catch allergens, dirt, and grime so it’s important to get your carpets professionally cleaned on an annual basis. Decluttering can help you free up space and your home seem more tidy. Throw out anything in the infamous junk drawer that you don’t need. Give old clothes you haven’t worn in a year to a second hand store. Spray down window screens and glass to rid of built up grime. 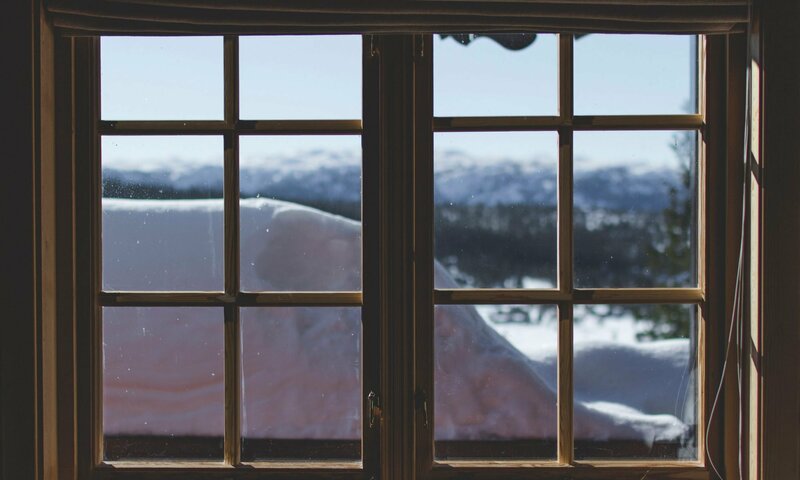 During the winter, our consistently closed windows can cause cobwebs, dirt, and dead insects to gather in window sills and the space between the glass and screen. Not only will spraying down your windows help your home look and feel cleaner, but it will also aid in allergen reduction. Clean out your air ducts. HVAC ducts ventilate air in your home and help regulate temperature. However,the ducts can get incredibly dirty, especially if the fans are as well. Not cleaning out the mold, dust and debris, or pests can cause an increase in your power bills and seasonal allergies. The perfect time to check all your smoke detectors is during a spring cleaning. Make sure each alarm is still charged with batteries. Another good thing to do during this time is review your family’s fire escape plan. Polish and dust furniture and appliances. Take books and knick-knacks off of shelves for a good dusting. Use a vacuum hose for any corners that are hard to reach. Polish wood and metal surfaces as well to keep your furniture looking new! When you’re cleaning, consider asking a professional for help! Valley Restoration and Construction specializes in carpet cleaning, HVAC cleaning, and more! Visit our homepage to learn more about our services. Mold is a fungus that may appear in your home without you knowing. It can grow in HVAC systems, behind appliances and installments (like showers or toilets), or in your attic or walls. If this problem worsens, your health could be at stake. How do you know if there is dangerous mold in your home? Simple as it may sound, many people don’t often go looking for this fungus. However, looking under sinks, behind washing machines or dishwashers, or along your walls and ceilings can help with detection. Mold is something that’s easy to spot. Often, you’ll notice a fuzzy substance on a wall or appliance that may be pale green, white, yellow, grey, or black. If it’s black, take immediate action to get it immediately removed. Black mold is the most dangerous. When behind paint, mold will cause the wall to bubble or become warped in some way. Fabrics or any other place that may have been exposed to water may also have yellow or fuzzy growths on it. 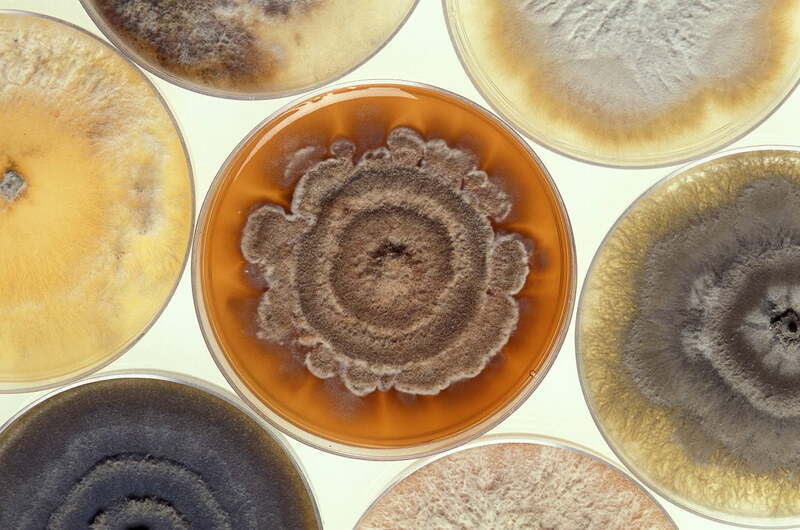 This fungus can sometimes be detected through smell. If something smells musty, search it for anything looking fuzzy or discolored. Think about water or piping issues. If you have had any floods or burst pipes in the past, there is a high probability that mold has grown and thrived in the damaged area. Check the damaged location for signs of water damage or musty smells. Even if you had the damages immediately attended to, there is a high possibility that the fungus made its way into the cracks between your walls or floors as water seeped through. Make sure you thoroughly inspect any previous areas of water damage. Mold test kits are available in various stores. This is an inexpensive option to ensure there are low levels of dangerous molds in your home. However, no DIY test kit is completely accurate so it’s always a good idea to have a professional inspect your home. If you fear there are high levels of dangerous molds in your home, Valley Restoration can help! We will aid in testing for and remediation of mold in homes and businesses. Call us at 970-964-4437 to learn more about our services! Whether a house fire is big or small, it’s going to leave behind smoke damage that’s hard to scrub away. Even after the fire itself is gone, there are some dangers that still exist while cleaning up. Make sure it’s safe to go inside your home! Talk to a fire marshal and get permission before you enter. The damaged area could still have lingering sparks or unstable objects that could collapse. Wear your safety gear. When plastics and other materials burn, toxic chemicals are created. Make sure when you’re cleaning up soot, you have goggles, gloves, and a mask so you don’t breathe in the toxic soot! Let the air circulate. The smoke and soot are toxic to breathe in, so ensure there is plenty of ventilation before going in to clean up. Smoke damage repair can be a challenging process, but it’s not impossible. First, vacuum up the loose soot. Next, get some supplies together, You’ll need a sponge or magic eraser, warm water, and a strong cleaning product such as TSP (Trisodium Phosphate solution). The soot that’s been embedded in your walls or furniture can be scrubbed out easier using a cleaning solution such as TSP. Then, scrub away at small sections. It will take quite a bit of time, but it’s important to be patient and keep working at each area! Before you move on to the next section of wall, take a damp rag and water to wipe away the soot and solution mixture. Finally, do the same process over again in a different section of the room. When scrubbing, make sure you don’t use too much water when rubbing at the various sections! This could cause mold and damage your drywall. Other than the yellowing of your walls and furniture, the smokey smell that comes after a fire is one of the hardest things to get rid of. However, there are ways to get rid of the smell using strong cleaners such as white vinegar, activated charcoal, or baking soda. If you use vinegar, wipe at the walls, furniture, floors, and ceiling with a damp vinegar rag. If you use one of the other options, it’s easier just to set out bowls filled with baking soda or charcoal and it will simply absorb the odor. One of the best ways to get rid of the smoke smell is to clean your air ducts! Valley Restoration and Construction can help get rid of the smells as well as help restore your home after it undergoes fire damage. Visit our homepage to learn more about our restoration services! When mold is contaminating your home, there are several hazards that affect not just your home’s structure, but those who live in it as well. Why is it so important to get rid of mold and how can you do it? The presence of mold has many negative effects. It can cause structural issues. Mold spores tend to grow in any damp places with dull lighting. When these spores grow on weaker surfaces such as wood, drywall, or under floors and roofing, the structure begins to deteriorate. It can cause damages to spiral. When the spores causes damage in one or two small places, it can grow quickly as more damage takes place, whether that be through water damage, rot, or something else. It worsens indoor air quality. When the air in your home suffers, so do you. It’s important to have high air quality or your health may pay the price. It may affect your health. These spores are known to cause multiple different breathing issues to worsen. This could affect asthma, allergies, congestion, coughing, or even cause lung infections. Fix the source. Whether the root of the problem is a leaky pipe or a hold in your roof, fix the area damaged by water before you address the issue. Air the space out. Before you begin working at the damaged space, make sure there is plenty of ventilation so you don’t breathe in the airborne spores. Keep contamination at bay. Wall off spaces that lead to other areas of your home so it can’t spread. Scrub it away. Scrub at the area or wipe it away with a rag using a mold-rated detergent or soap. Make sure the area is completely dry when you finish. Get help from a professional. The only way to know for sure that remediation is done correctly is to get help from someone who specializes in these types of remediation services. Practice prevention. 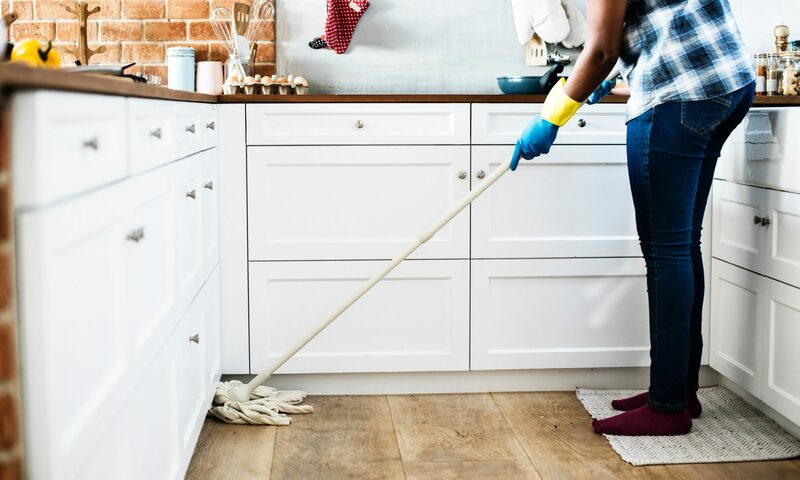 Eliminating dampness by drying up spills and leaks as soon as they appear, ensuring proper drainage methods in your home, and other routines can keep these pesky spores at bay. After cleaning, it’s recommended to apply a sealant paint made specifically for mold mitigation so that you lock in any spores that could possibly still be remaining. When cleaning, make sure you stay safe by wearing proper protection! Safety goggles, a mask, and rubber gloves are all types of gear that can ensure you stay healthy during and after cleaning. Remediating mold can be tough, which is why Valley Restoration and Construction is here to help! We offer mold inspection and remediation services to make sure you get rid of the problem as effectively as possible. Toxic gasses can cause serious issues when they begin to leak into your home. These gasses could cause harm to you and your family in more ways than one. Some can go undetected because they don’t smell, look, or taste like anything. That’s why it’s important to perform regular gas checks in your home. Carbon Monoxide (CO) is one type of gas that doesn’t look, taste, or smell like anything so it’s hard to detect. Even worse, it’s both toxic and flammable. Because of this, breathing it at large quantities can cause serious health issues or death. Radon is another hard-to-detect gas that can enter your home and cause harm to you and your family. It is radioactive and has no color, smell, or taste. Radon is a common gas in Colorado and the rest of the United States. It forms naturally in the soil beneath some homes. After the gas forms, it seeps up through the soil and can enter your house through cracks and holes. Once there, it can become trapped inside the house. Although these gasses are often hard to detect with the five senses, there are thankfully ways to test for them. Carbon monoxide detector: Along with a smoke alarm, every house should have a CO detector as well. Carbon monoxide can come from cars, boats, home appliances, generators, and plenty of other gas-operated sources. CO alarms will notify you and your family of any gas leaks, so it’s important to have one of these devices in any room that has one of these mechanisms. Radon test kit: Along with CO, it’s also possible to test for radon in your home. You can buy a kit or hire a professional to test for the presence of the gas. To test on your own, seal off your home (close windows, doors, etc), wait 12 hours, then set up the test on the first floor of your home or in your basement. Finally, send the test into the lab and await results. Many of these gasses are released into and around your home after fires or other natural disasters. However, regardless of how the gasses came into your home, Valley Restoration and Construction can test for and mitigate the presence of toxic gasses like radon in your home. Call 970-964-4437 to learn more! 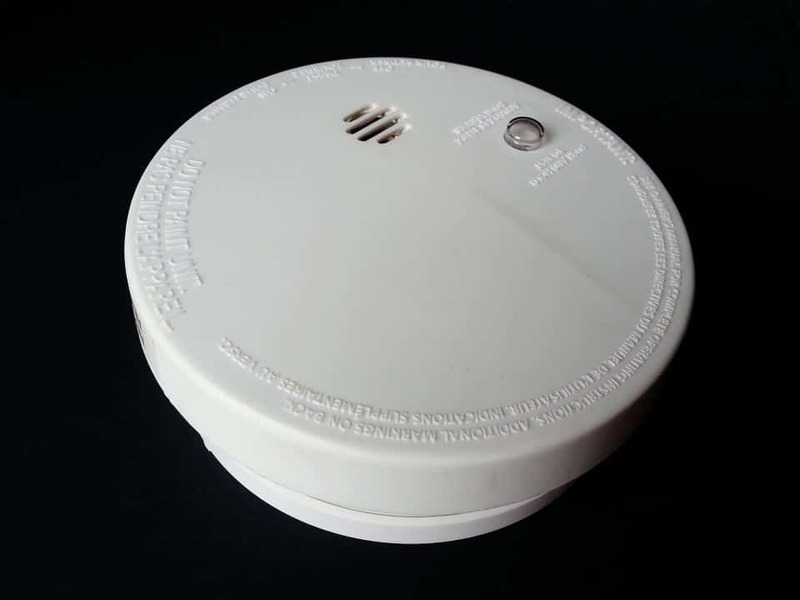 Smoke alarms are one of the first ways you will be notified if a fire starts in your home. However, batteries often die and the detector may wear down as time goes on. It’s important to test each smoke detector unit in your house every month to keep you and your family safe. How can a smoke detector be tested? 1 – Find out how many alarms you have. First, go on a search in your house to find all the smoke detectors. Each one will need to be tested. 2 – Look for and use the “test” or “reset” button. Often times, the button is very small and will need a thin tool (such as a paperclip) to access. If you can’t find the button, look at the manual for the detector. If the alarm goes off, it’s in working condition. However, if it doesn’t, you may need to replace the batteries. You should be able to hear the alarms from anywhere in your home. Try standing at the farthest point in your home from the alarm that’s being tested. If the sound is weak, you may need to replace the batteries. Even after the tests, you will want to ensure it continues working. Regardless of the test results, the batteries should be replaced if you haven’t done so within the last six months. The alarms should be replaced roughly every 10 years depending on the manufacturer. Read the detector manual and make sure the alarms are replaced when they need to be. Look for dust and debris that may be blocking the smoke detector grates. Regardless of the battery life, blockage may prevent the alarm from working properly. If your home catches fire at any point, Valley Restoration and Construction is here to help! We specialize in fire restoration services. Call (970) 964-4437 to learn more about our services. Every winter, energy bills end up skyrocketing. Everybody wants to keep the cold out by warming their homes. How can you keep the cost down while also making sure your house stays warm? 1 – Check for leaks. As the ground naturally expands, contracts, and shifts, the structures of our homes pay the price. Cracks often appear in the weakest points of our home: where the wall meets the ceiling or floor, where walls meet each other, and around door frames and windows. Any cracks or openings in these areas allow the heat to get out and the colder air to get in. To avoid higher heating bills, caulk these areas or, if they are bad enough, replace them. 2 – Replace or update windows. New windows can be expensive, but it could be better for your wallet in the long run if you’re not having to pay the extra energy costs due to old, drafty windows. When choosing energy-efficient windows, consider the frame, type of glass, and general efficiency. 3 – Insulate air ducts. A lot of heat can escape through your HVAC system if it’s not properly insulated. Make sure there aren’t any unwanted openings for heat to escape. Generally, a quarter of the air moving through your air ducts could be lost when leaks are present. 4 – Check your home’s existing insulation. By using and updating insulation, there’s a barrier between the warm air of your home and the cold from outside. Faulty insulation may cause a lot of warm air to leak out of your home! You know if your insulation needs replaced by watching the temperatures in your home. If you can’t regulate the interior temperature or there are multiple icicles hanging off your house, there is a good chance that the insulation needs to be updated. 5 – Remember the furnace filters. Dirty filters slow down the flow of heat and makes your HVAC system work harder. When it’s working harder, it also uses more energy. Cleaning out or changing the filters can help decrease energy costs and conserve energy. Heavy curtains and shades block out the chill from outside and seal in heat. This method will be more effective with heavier curtains and keeping them closed during colder seasons will help keep your home warm. One of the best times to update and seal your windows, HVAC systems, and insulation is during a remodel. Here at Valley Restoration and Construction, we offer services for remodeling to help make sure your home is ready for winter! Call us at (970) 964-4437 to learn more. It’s great to spend Christmas cuddled up close to a fireplace with your friends and family, but it’s not so much fun when your house is the fire. Christmas trees cause millions of dollars in property damage every year due to fires. How can you prevent a holiday disaster in your home this season? Fresh trees mean less fires. If you want a live tree, choose one that’s as recently cut as possible. Needles shouldn’t be shedding constantly. Make sure it’s as green as it can be. Dead or dying trees are drier and are known to catch a spark far quicker and easier than a fresh one. Plastic, reusable trees aren’t as fun or spirited, but they are far safer. They can’t dry out like live Christmas trees can. Watch where you put it up. Putting it up near sources of heat such as heaters, candles, fireplaces, or even lights can dry the tree out quicker. Also, being close to a heat source may cause it to catch a spark. When it starts to die, get rid of it. A dying tree is a fire hazard, so throw it out before it can catch ablaze! Remember to put the lights out! 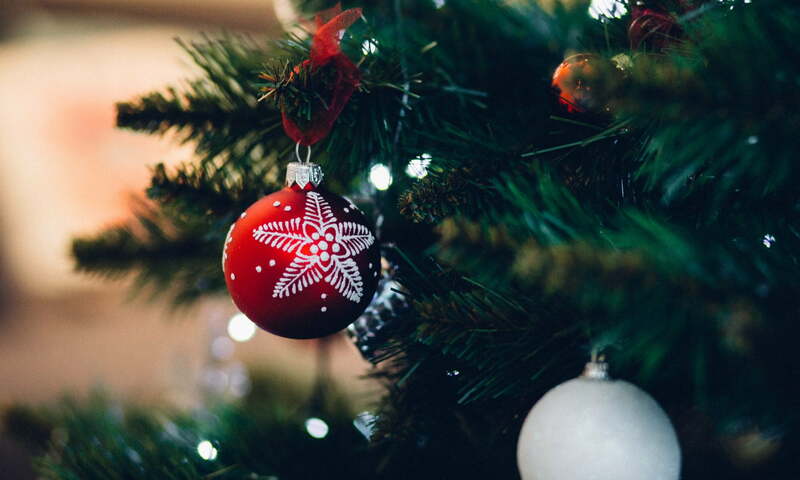 Keeping electric holiday decorations on all night may result in flames due to electrical errors or overheating (not to mention that skyrocketing electrical bill). Be smart with your lights. Take notice of the details on the packaging: are they qualified for outdoor use? Can they be plugged into the right exterior outlet? Are the lights damaged? If so, toss the damaged ones. If you’ve had to deal with a Christmas fire, Valley Restoration and Construction is able to restore the damaged areas. Call 970-964-4437 to learn more. During the winter, bugs and other pests flock to our homes for warmth and food. How can you control these populations in your home? Cracks between your walls, windows, or doors allow insects, mice, spiders, and others to enter your house uninvited. Simply sealing the cracks, no matter how small, can keep vermin at bay. Often, mice and spiders enter your home for food. If your home already has plenty of insects, the bigger bugs and mice are bound to show up. 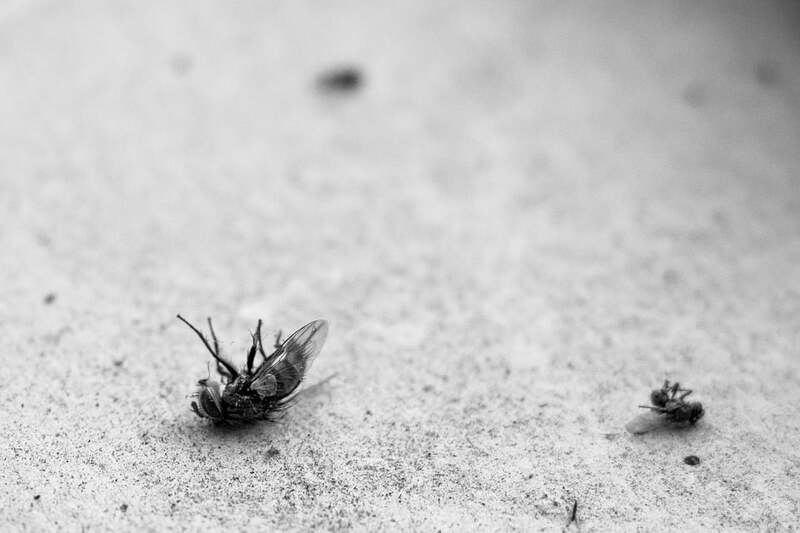 Using insecticides can kill off the insects and ensure your house isn’t prime hunting ground for pests. Use spray treatments and traps. DIY extermination includes mousetraps and bug-specific sprays. Spraying the perimeter of your home with a spider spray can decrease their population in your home. 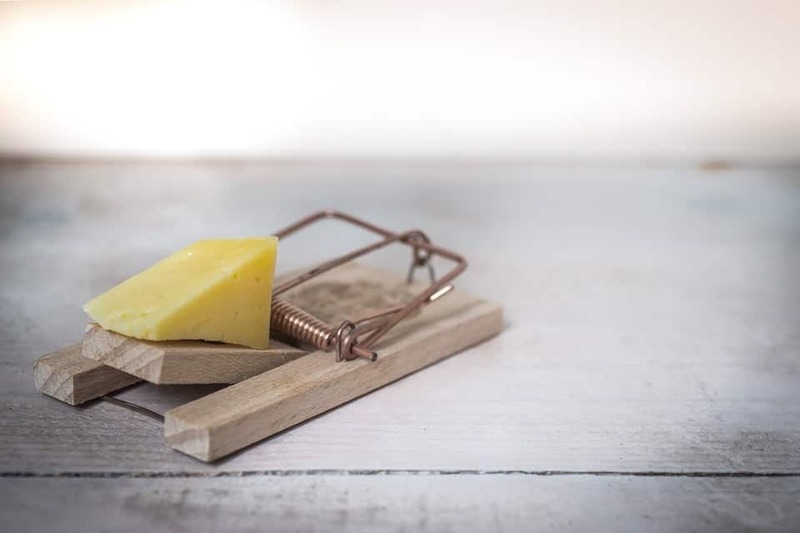 Also, setting up mousetraps in the secluded corners of your home or garage keeps the mice at bay. If you have a cluttered house by the time winter comes around, you’ll draw in plenty of pests. Try to clean up some clutter during the fall. Deep clean with your vacuum. Put your vacuum hose on high and vacuum everywhere. Corners (vacuum the corner starting with the floor all the way up to the ceiling), baseboards, cupboards, behind and under furniture, and all small areas should be addressed if you want to get rid of all the insects, eggs, and prime living conditions. Why are these pests a bad thing? Many people are okay living side by side with many of these critters, but there are many reasons why you should rid of them! They are dangerous. Mice spread dangerous diseases, especially when they have a high population in your living space . All pests cross contaminate, so if there are many in your kitchen or eating areas, other diseases could spread. They can cause allergies. Dead insects and feces gather in the dust. When stuck in your air vents, this contaminated dust flies around and you breathe it in. They could damage your belongings. Bugs like the carpet beetle or silverfish can add holes to clothing, books, and other possessions. If you’ve had an issue with pests in the past, it’s a good idea to get your air ducts cleaned out to ensure they are all gone (eggs and all). Valley Restoration and Construction can help! Visit our website at https://valleydrc.com/ to learn more.